Seeking Kali is William Evertson (USA) and Susan Shulman (Canada). Seeking Kali speaks out visually against sexual harassment in the public space. 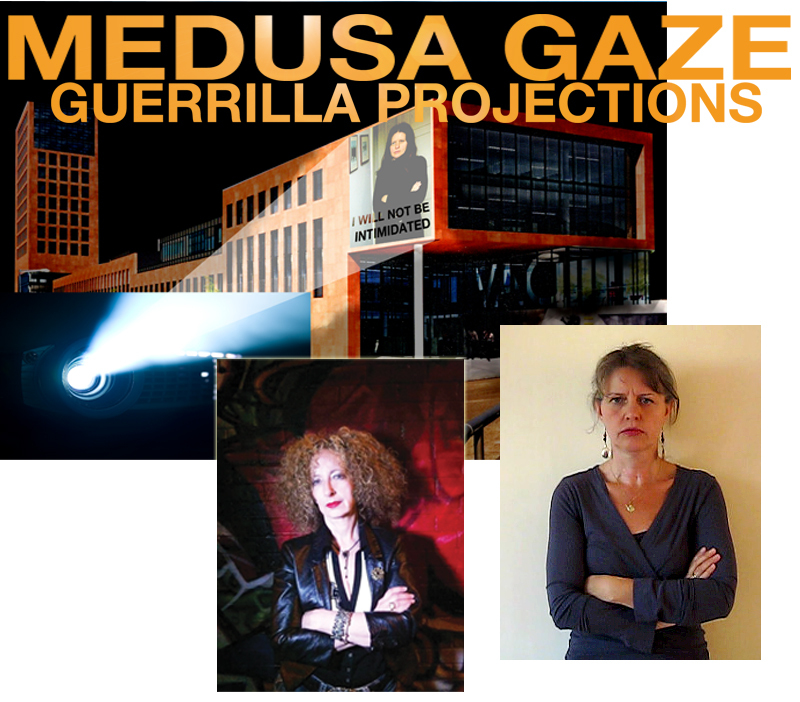 The Medusa Gaze Project 2012 is a projection bombing art project: by guerrilla projecting images of women expressing their reproval and their determination not to be intimidated, we claim the right for women to walk freely and safely on our city streets.